Should come with an open mind and a desire to COLLABORATE with digital influencers. Some of today's digital influencers have a larger audience than television networks and, as found in a study by Variety Magazine in 2014, they have deeper influence over day-to-day purchasing decision than the biggest Hollywood stars. Many brands and agencies are coming to this realization, but what they don't know is that approaching these digital influencers is a completely different ballgame than traditional promotions. ""Creators like Devin Graham have total allegiance to their audiences. Graham's YouTube channel ""DevinSuperTramp"" has more than 2 million subscribers. It focuses on off-beat outdoor activities such as having a slip-and-slide on the side of a cliff. ""My audience is more important than any brand I'm ever going to get,"" Graham said. If a brand's idea of content doesn't mesh with what his audience likes, ""it's not worth the risk,"" he said."" This workshop is about getting into the digital influencers mindset and teaching you how to find and determine which influencers will be right for your brand and your program, then how to approach them and what to expect in negotiations (including average costs and what to expect for your money). 1. 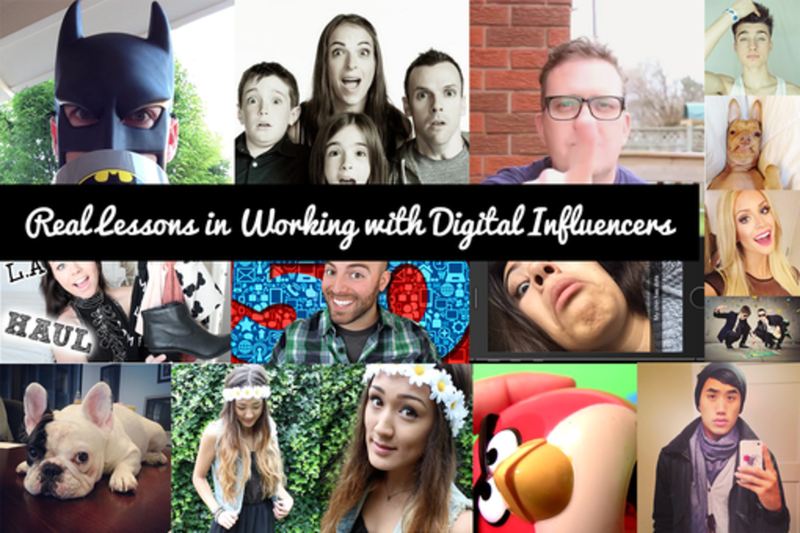 How do I find the right influencer to work with to achieve my brand objectives? Are there tools I can use? Special agencies? Where do I find their contact information? Do I have to go through their agencies? What is an MCN? 2. What does it cost to work with an influencer? How much can I ask them to do? Will they negotiate? 3. How do I write a contract for influencer collaborations? Do I need one? 4. What does co-creation mean? How much of a say can I have in the final outcome of the content? 5. How can I measure the ROI of these partnerships? How much of the ROI should I hold the influencer accountable for? What are some of the case studies that prove positive outcomes from these relationships?